This is a demo model Gretsch guitar that is currently on display in the world renowned Gretschworld showroom at Cream City Music. The guitar is in nearly mint condition but does show evidence of being carefully handled and played a few times in our showroom. 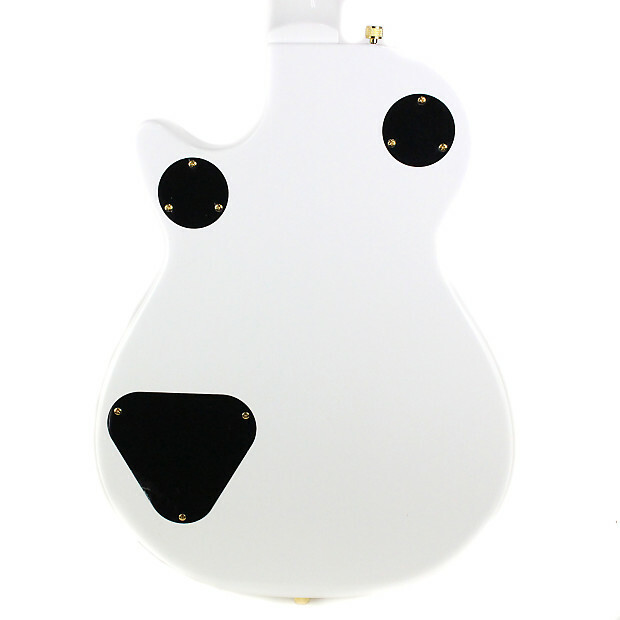 The guitar will ship as shown with full warranty and all the original factory documentation and packaging. 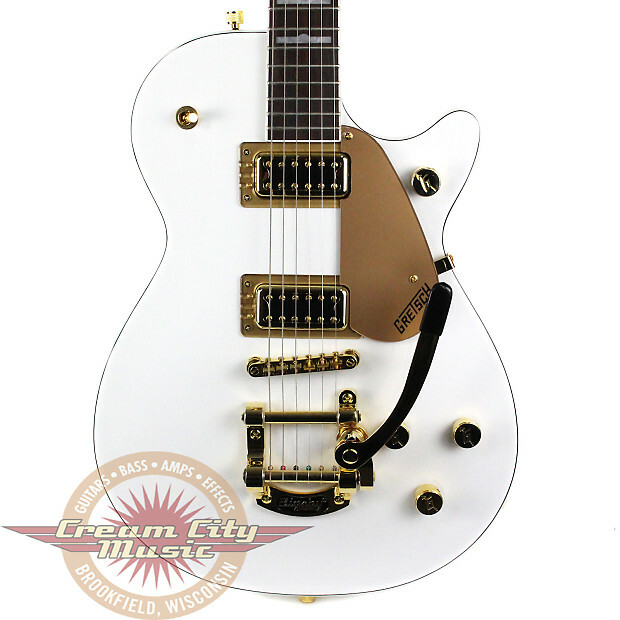 We are authorized to give a great deal on our demo model Gretsch guitars! Our professional luthiers will fully inspect and set up the guitar before we ship. If you have any questions about this guitar or any of our great gear call us toll-free at 1-800-800-0087. This is the extremely cool limited edition Electromatic Pro Jet model G5434T-LTD. 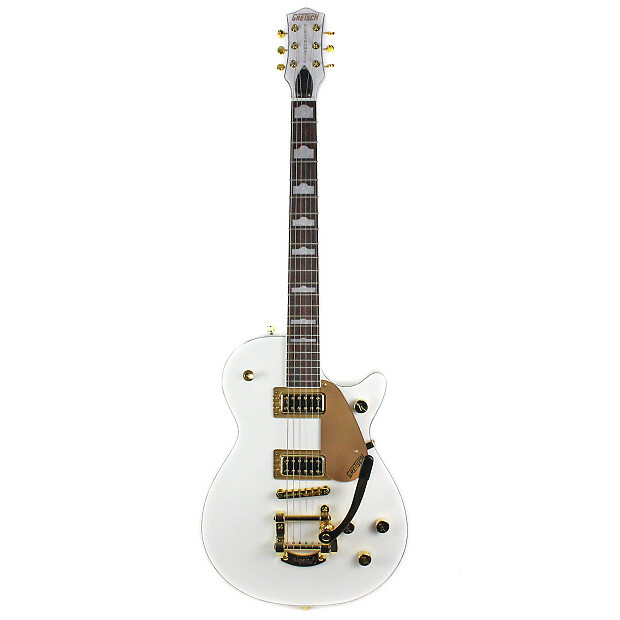 This is Pro Jet done in the style of the legendary Gretsch White Penguin complete with gold hardware and pickguard! 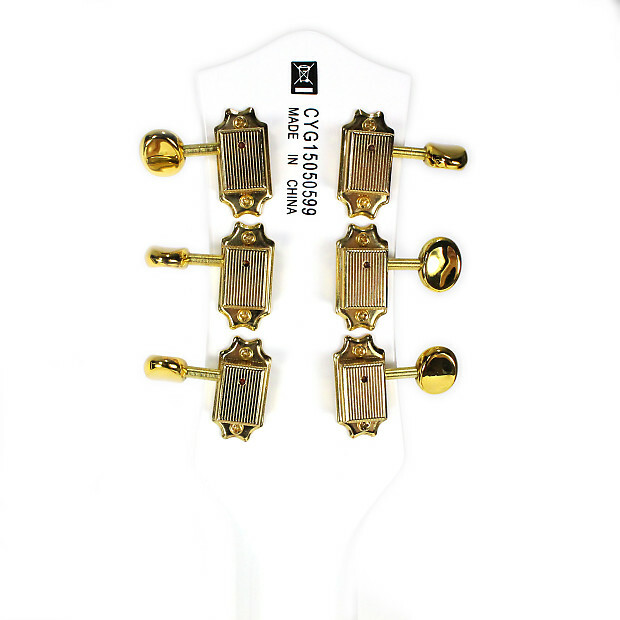 The G5434T-LTD features a high gloss white finish and a gold plated Licensed Bigsby tremolo. 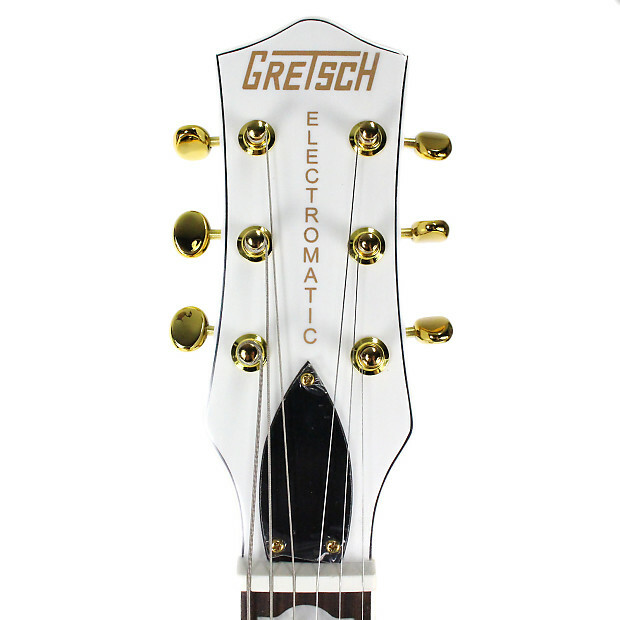 The Electromatic Jet's are excellent guitars that sound great and have that classic Gretsch style! The Electromatic Jet features the same construction recipe you'd find on its 1950's ancestors. It has a chambered body with set neck and a 3 ply maple top yielding a snappy tone that's great for a variety of music styles. The tone from the new "Black Top" FilterTron humbuckers is very clean with low noise and plenty of bite. The bridge pickup is nice and snappy and the neck pickup has a much smoother "scooped" midrange and warm bass response. If you're looking to an alternate to the usual solidbody guitars you see on stages and in stores that has authentic vintage style then you must check out a Gretsch! 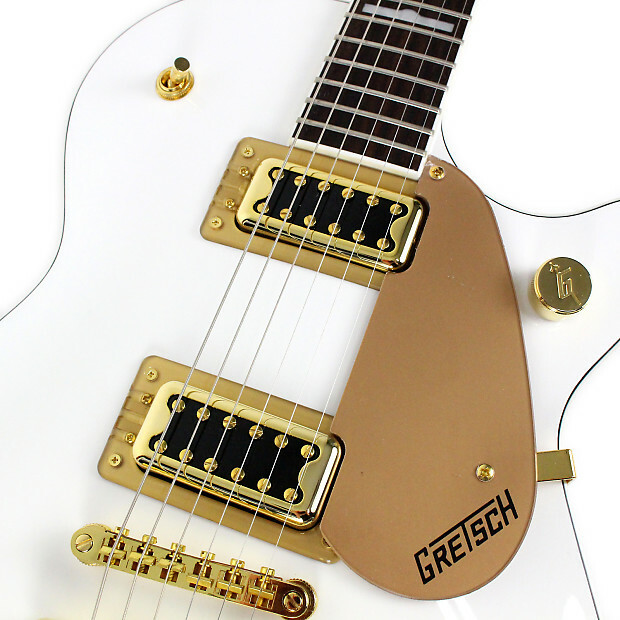 We are a long standing fully authorized independent Gretsch guitar dealer. 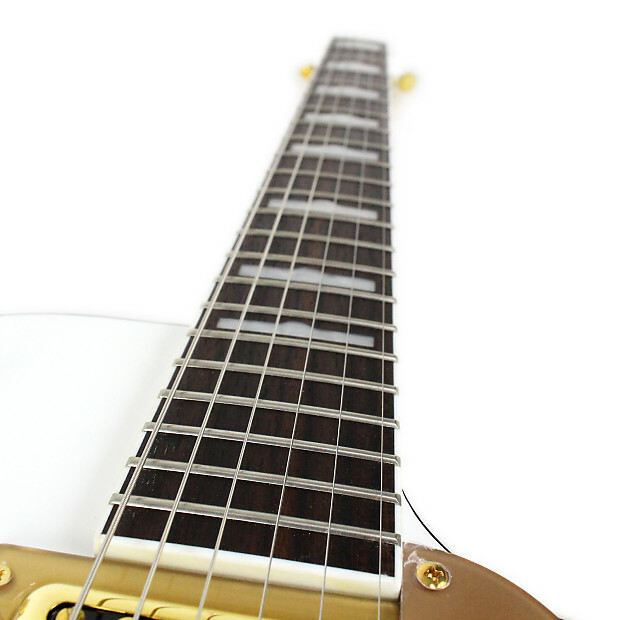 This is a brand new guitar and comes with the full Gretsch Limited lifetime factory warranty. If you have any questions at all please feel free to call!